Upon your arrival at Indore, your exciting Madhya Pradesh tour begins. To reach Mandu it takes about 3 hours drive, once you reach, check into the hotel. Later, leave for local sightseeing , the place is dotted with numerous architectural structures. Visit the Jahaz Mahal ( ship Palace), Hindola Mahal (Swing Palace), Jami Masjid, Jain Temple, Champa Bhaoli and Rupmati Pavilion. Return back to the hotel and stay over for the night. In the morning, after breakfast, check out of the hotel and head towards Indore by road. 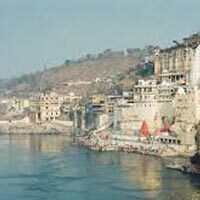 On the way, stop by Maheshwara and Omkareshwar and visit the famous temples in these sites. On reaching Indore, check into the hotel and spend the rest of the day at leisure. Overnight stay at the hotel. In the morning, after breakfast, leave for a short city tour. Visit the Chattri Bagh, Central Museum, Patal Pani and Bada Ganapati Temple. 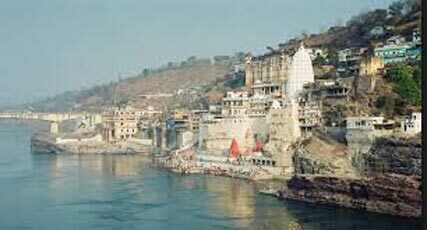 If time favors, you can opt for a trip to Ujjain to witness the religious vigor of the devotees along the banks of the Shipra river. Back to the hotel and spend the night at the leisure of the hotel. In the morning, after breakfast, check out of the hotel. You are dropped at the given airports or railway stations for your further journey. The trip comes to an end.